If you love chic workwear then you’ll be excited about this new feminine tweed jacket. The pink multi-color threads are even more beautiful in person. 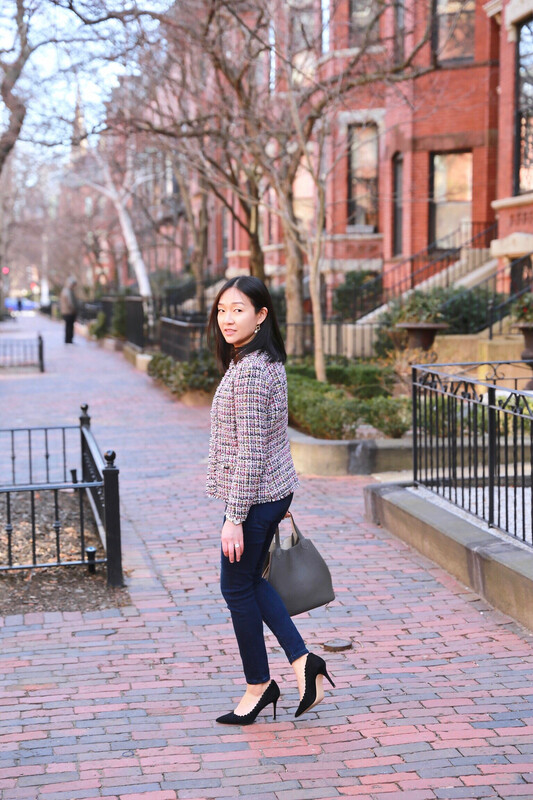 I love these stretchy jeans in a medium wash that’s appropriate for my workplace which is business casual. When your pants are this comfortable you know it’s going to be a great day to eat a hearty lunch, dinner or both. My husband even complimented me on the classy outfit before we went on our date this past weekend. I’m wearing the original camp shirt that was available in petites last season but it’s such a closet staple that’s always well stocked in many other colors and prints. This season there’s a new slim fit version although the one I have tucked in pretty well for a blousy look. How gorgeous are these suede pumps with the subtle scalloped detail? They’re also available in leather here and they even come in a comfortable flats version. I’m also a fan of the classic Mila leather pumps. 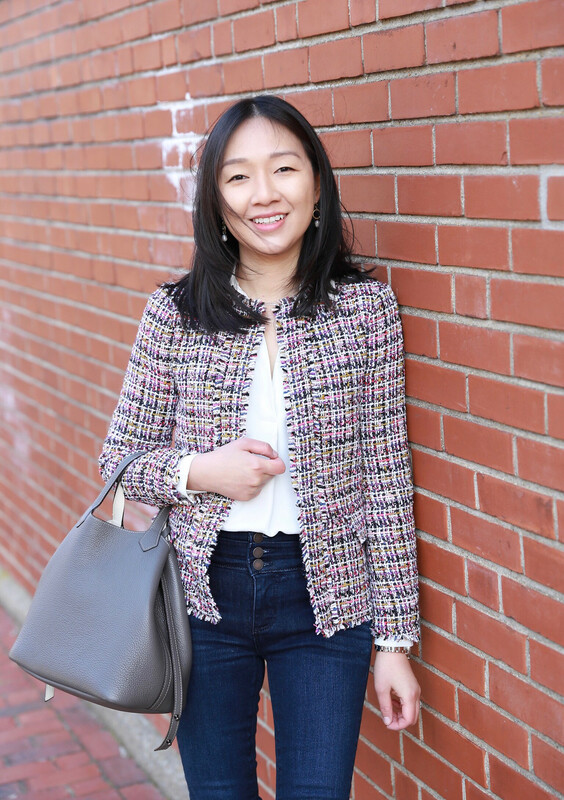 The jacket, blouse and jeans (all linked below) are currently 40% off at Ann Taylor with the code SOSWEET today through 2/19/19 3AM ET. You can also save an extra 50% off sale styles! Tip: Sign up for ShopRunner and enjoy free 2-day shipping on orders of $25+.